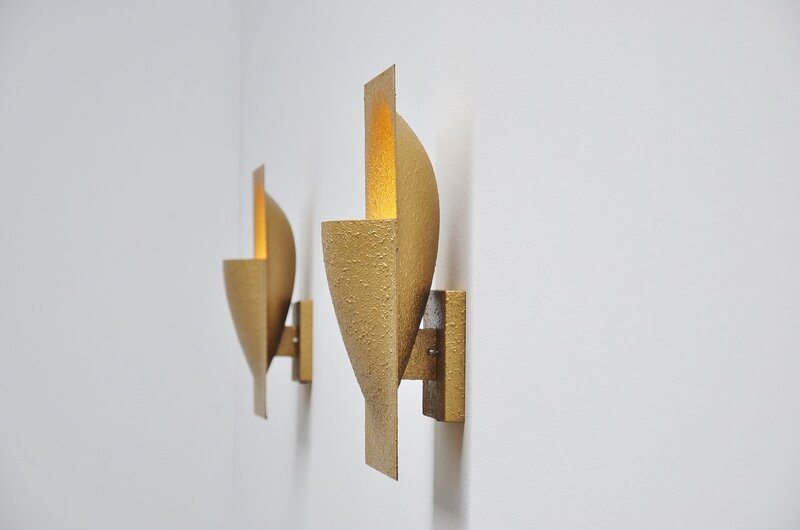 Fantastic pair of sconces designed by Bertrand Balas for Raak Amsterdam 1975. 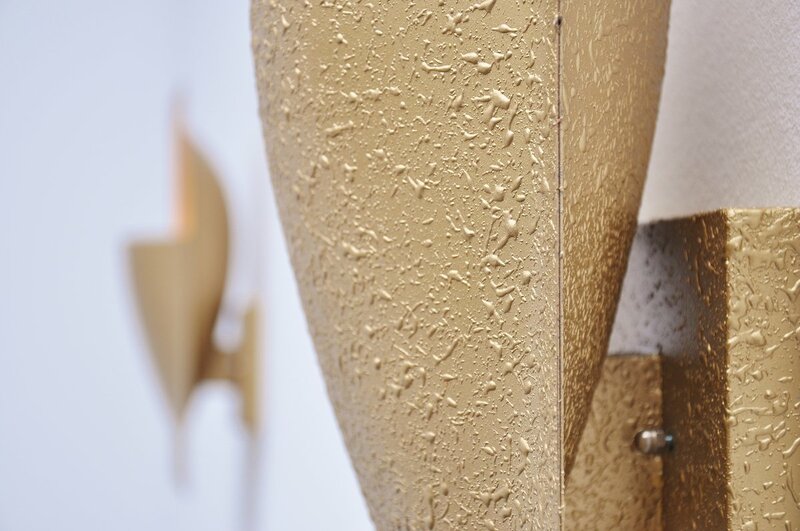 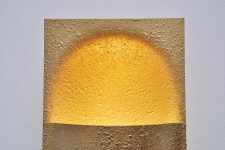 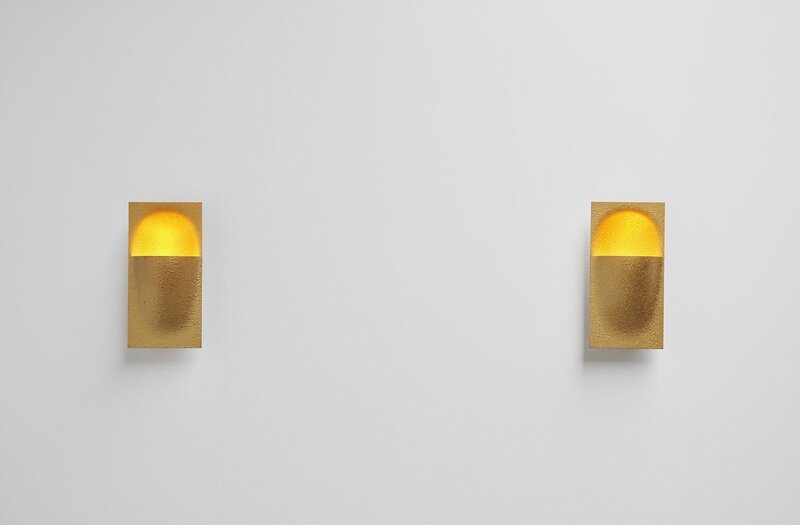 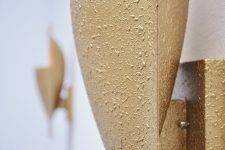 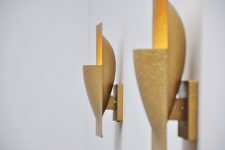 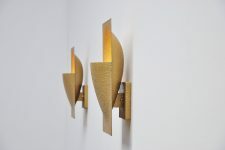 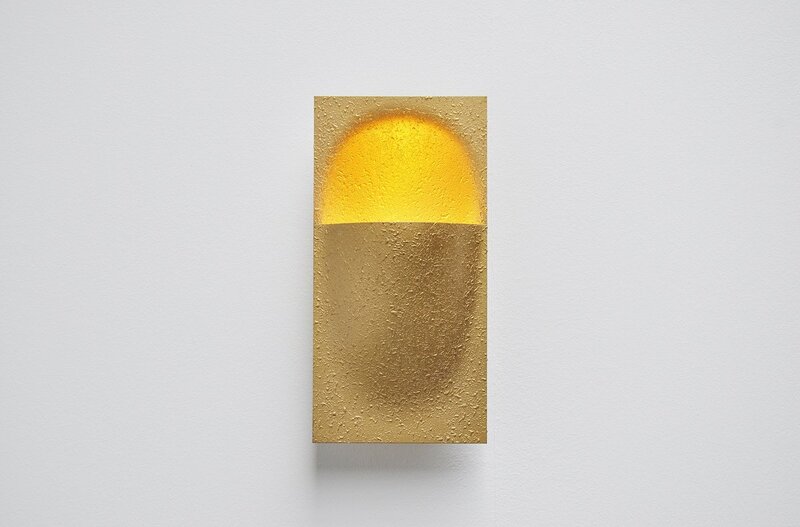 These sconces are made of gold lacquered metal and give very nice and warm light when lit. 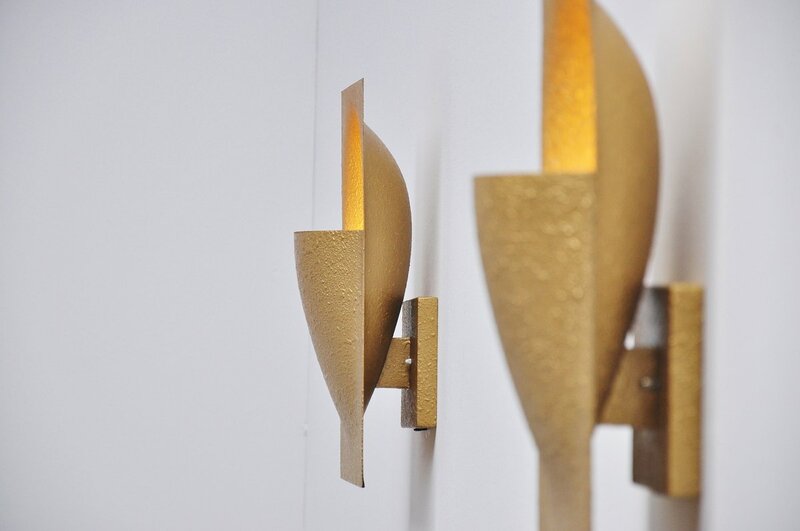 Lamps are very easy to wall hang and look amazing in any home or interior. 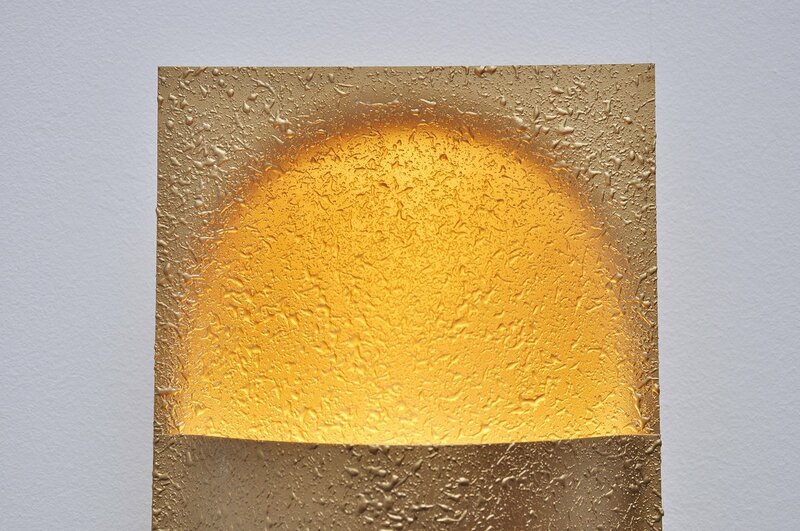 These lamps are sold and priced per 2.